The country's economic performance in the opening quarter of 2005 was better than first thought, logging a solid 3.5 percent annual growth rate in a new sign of a strong springtime business expansion. The latest reading on gross domestic product, released by the Commerce Department on Thursday, was an upgrade from the 3.1 percent pace initially estimated for the January-to-March quarter. The higher estimate for economic growth mostly reflected a slight improvement in the nation's trade deficit, which was less of a drag on growth than the government previously thought. More brisk spending on housing projects also helped. GDP, the broadest barometer of the economy's fitness, measures the value of all goods and services produced within the United States. The new reading is close to the 3.6 percent growth rate that economists were forecasting before the release of the GDP report. The 3.5 percent pace clocked in the first quarter of this year — while better than an initial calculation for the quarter — still represented some slowing from the 3.8 percent pace seen in the final quarter of 2004. Higher energy prices and borrowing costs did make consumers and businesses a bit cautious in the first quarter, the main reason for the moderation in overall economic growth compared with the previous quarter. 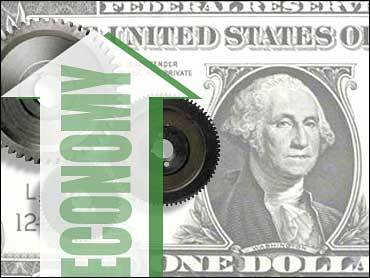 However, recent economic reports have suggested that the economy, which hit a rough patch in March, is bouncing back. Importantly, employers boosted payrolls in April by 274,000, a noticeable improvement from the lackluster 146,000 new jobs generated in March. The employment report for May will be released by the government next week, and economists are forecasting a gain of around 175,000, which would be respectable but not spectacular job growth. In other economic news Thursday, the Labor Department said new claims for unemployment insurance rose by 1,000 to a seasonally adjusted 323,000 last week. Even with the increase, the level of claims still points to an improving job market, analysts said. President Bush wants the job market, the overall economy and certainly the financial markets to be on sound footing as he sells his overhaul of Social Security, which would allow workers to set up personal investment accounts in stocks and bonds. Federal Reserve policy-makers, who believed the economic slowdown in March was probably "transitory," have expressed more concern about the prospects of rising inflation. To prevent inflation from becoming a problem, the Fed has boosted short-term interest rates eight times — each in modest quarter-point increments — since last June. Analysts predict the Fed will raise rates again at its next meeting at the end of June and into much of this year. An inflation gauge tied to the GDP report and closely monitored by the Fed showed prices — excluding food and energy — rising at a rate of 2.2 percent in the first quarter. While that was the same as previously estimated for the quarter, it did represent a pickup from the 1.7 percent rate of increase in the fourth quarter. High energy prices have forced many economists to lower their projections for economic growth. The economy in the current April-to-June quarter is expected to expand anywhere from a 2.8 percent to 3.5 percent pace, according to some analysts' estimates before the release of Thursday's GDP report. Some earlier forecasts had put growth for the quarter closer to a 4 percent pace. Oil prices soared into record territory in March and hit a new closing high of $57.27 a barrel at the beginning of April. Prices have eased since and hover $50 a barrel. Consumer spending in the first quarter grew at a 3.6 percent pace. That was up a bit from the government's initial estimate of a 3.5 percent growth rate but down from the fourth quarter's 4.2 percent pace. Business investment in equipment and software increased at a 5.6 percent pace in the first quarter. That was down from a previous estimate of a 6.9 percent growth rate and marked a big deceleration from the hot 18.4 percent pace of spending seen in the fourth quarter. One measure of after-tax profits in the GDP report showed profit growth losing ground in the first quarter. They grew by 1 percent, compared with a hefty 12.5 percent increase in the fourth quarter. Housing activity, meanwhile, powered ahead in the first quarter, stoked by still fairly low mortgage rates. Spending on residential projects increased at a brisk 8.8 percent rate in the first quarter. That exceeded an initial estimate of a 5.7 percent pace of spending for the quarter and was up from a 3.4 percent growth rate logged in the fourth quarter. The trade deficit didn't weigh as much on economic growth in the first quarter as previously estimated. The deficit shaved nearly 0.7 percentage point off GDP in the first quarter, compared with an initially estimated 1.49 percentage-point reduction.